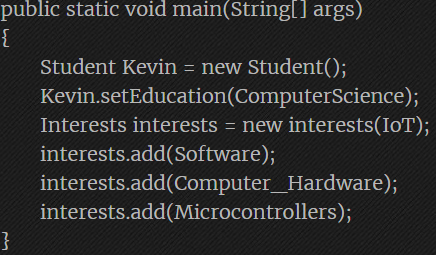 Hello, I am Kevin van den Broek, a 20 year old computer science student in Breda. I am a hard-working, enthusiastic, self-motivated and involved individual that takes on any challenge and tries to get the best results out of it! This website is my portfolio website, you can see all the different projects that I have worked in in the past years. Take me to the portfolio! 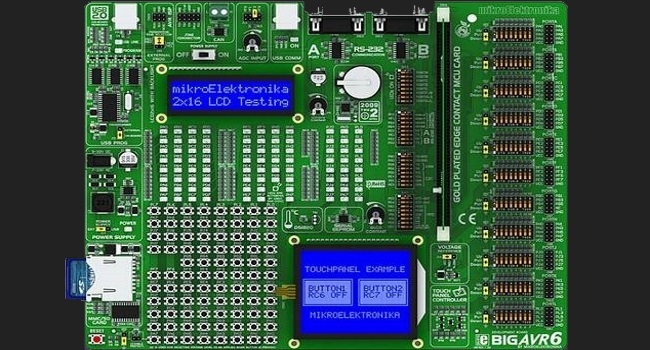 Different projects using the BigAVR6 development board all written in plain C code. 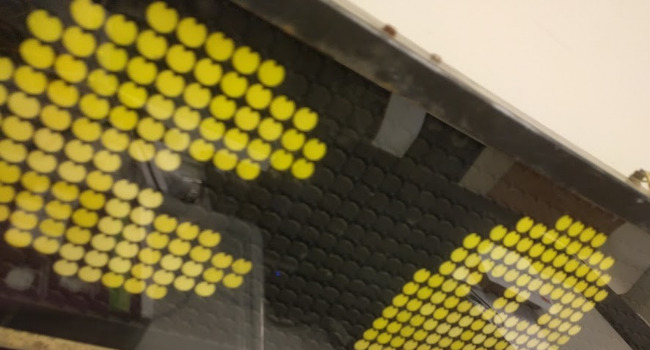 You can think of walking leds, dotmatrix control code and timers/counters using the microcontroller. 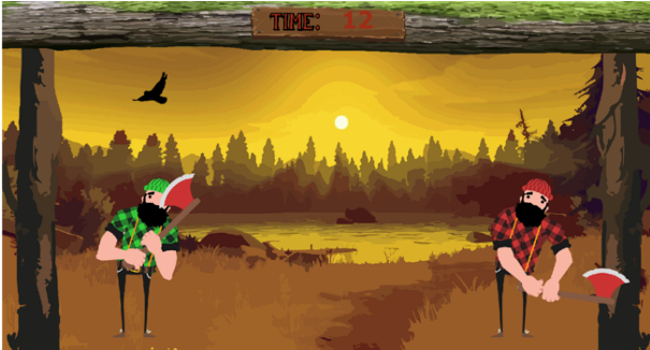 'Evade the falling logs', A minigame where you move the Wiimote left and right to move and dodge. You can push your friend and press A or B to jump. 'Jump across the waterfall', A game where you move your Wiimote left and right. 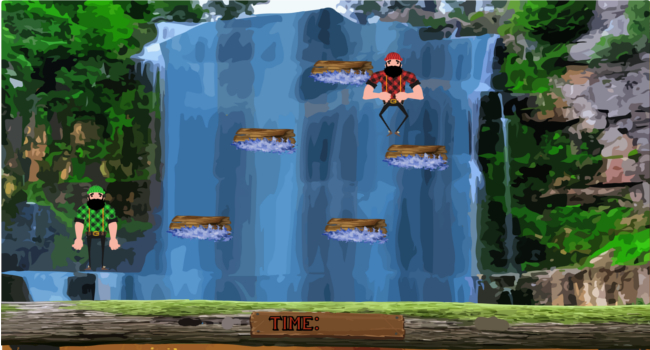 Press A or B to jump and collect logs from the otherside of the waterfall to bring back. 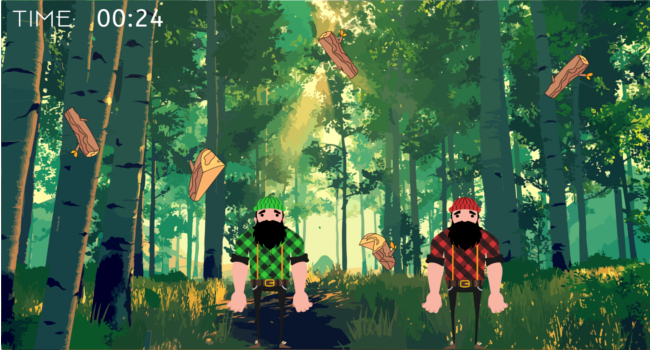 'Cut down the tree', A game where you need to swing your Wiimote like a proper axe to cut down a tree. The more trees you cut down the more points you earn. 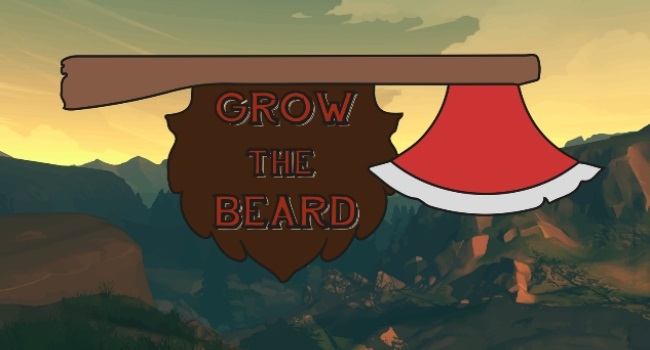 When you win one round of a minigame, your magnificent bear will grow. 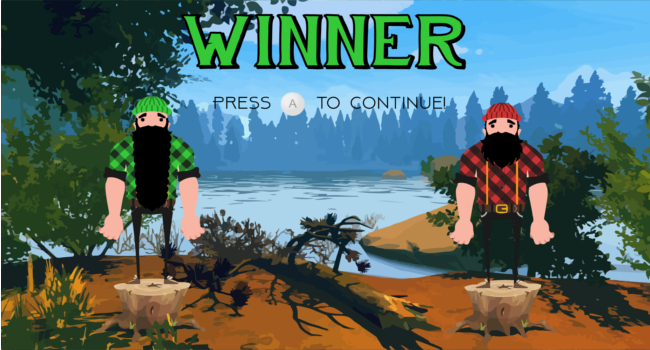 Therefore we had a special 'After minigame' screen. 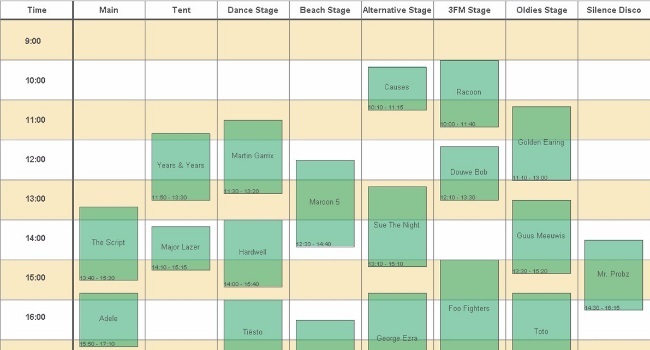 A festival planner made in Java. This festival planner is a combination of 2 programs. The first program is a calendar program to plan a festival. You can plan stages, artists & performances in a 2D visual environment. When the agenda is finished you can start a simulation of said agenda. It will show all the created stages and walking visitors with custom AI (food, toilet, entertainment) who walk to different performances based on their preferences and status. A Hue application writton in C# on the UWP Platform. The hue app can be used to find and connect to hue bridges. Once connected the app shows all the lamps that are connected to the bridge. 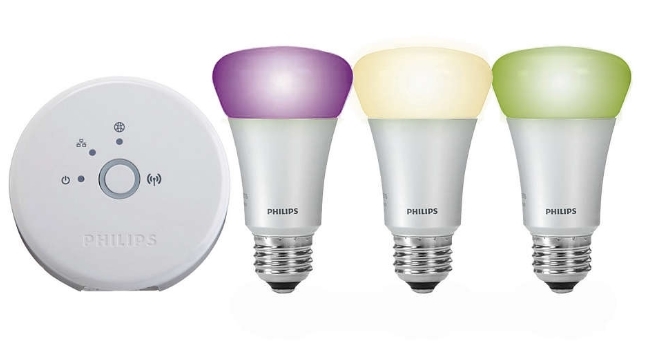 The app gives the option to change the lamp its hue, saturation and brightness. You can also create groups and control more lamps at the same time. Function like fade, disco and flash are also available.A Hue application writton in C# on the UWP Platform. The hue app can be used to find and connect to hue bridges. Once connected the app shows all the lamps that are connected to the bridge. The app gives the option to change the lamp its hue, saturation and brightness. You can also create groups and control more lamps at the same time. 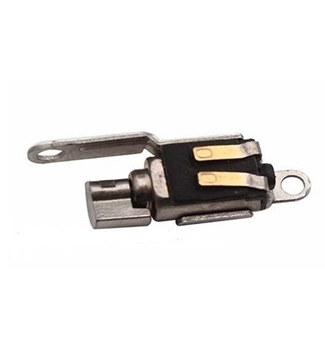 Functions like fade, disco and flash are also available. 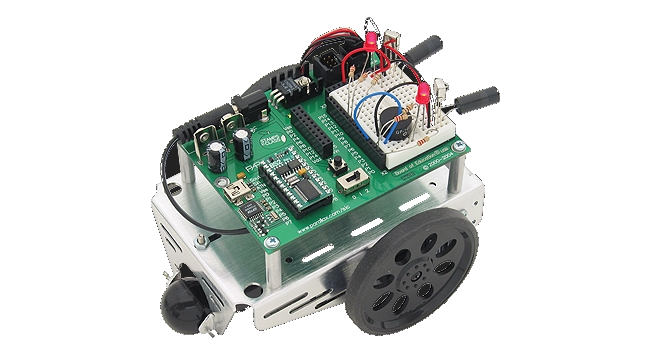 A BoeBot project to program a automous vehicle that has 3 different modes. The complete program also has a GUI on a windows PC that is programmed in Java. 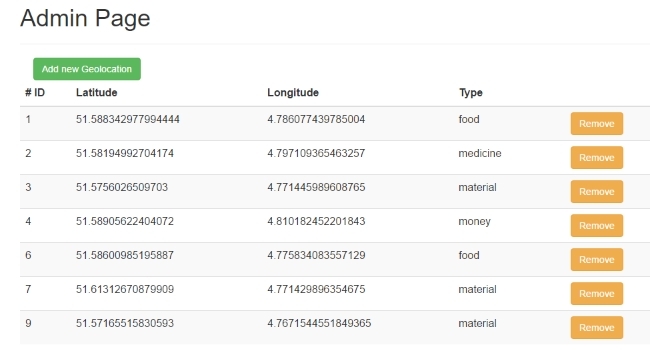 The GUI shows live data of the BoeBot and can control the robot. It also has the option to change the BoeBot its state. A running app on the UWP Platform with a website to view / edit points that are used inside the app with a Rest(full) API. 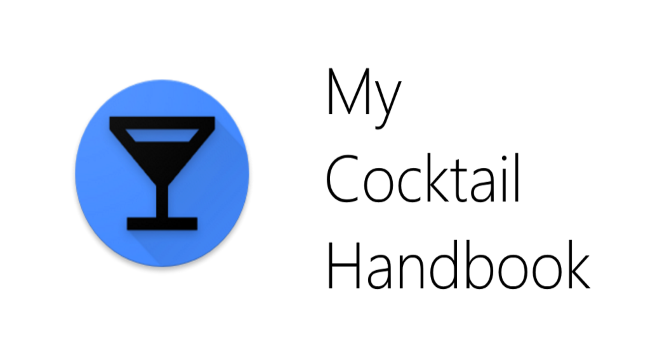 My Cocktail Handbook is my first android application I ever made. 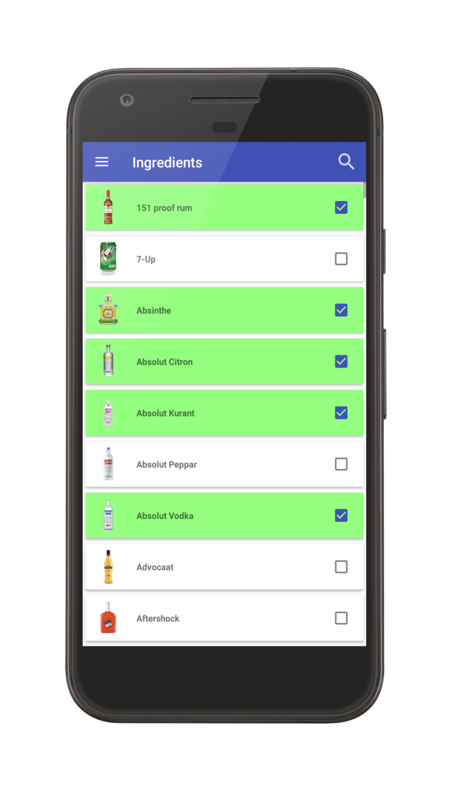 The application gives the user the possibility to search over 3000 different cocktail recipes and see the instructions on how to create the cocktail. 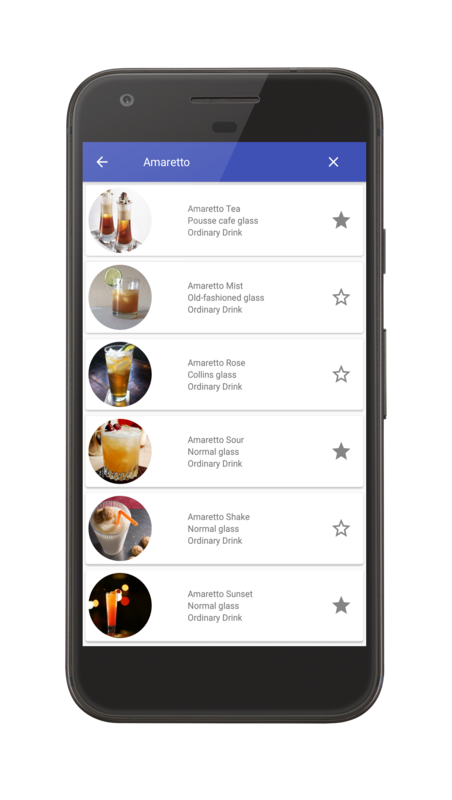 The user can also favourite the cocktails so that they are always within reach trough the 'favourites' tab in the navigation drawer. The application also offers a My Bar functionality. 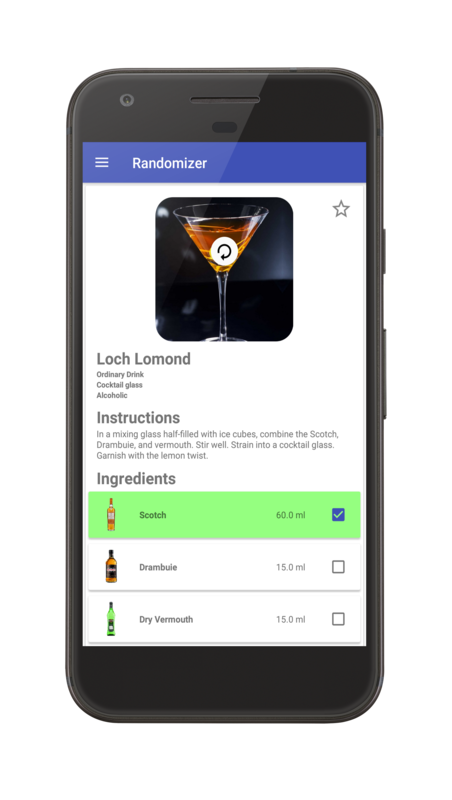 It looks at the ingredients you selected for your bar and then shows the cocktails you can create! lastly, are you just interested in Vodka? 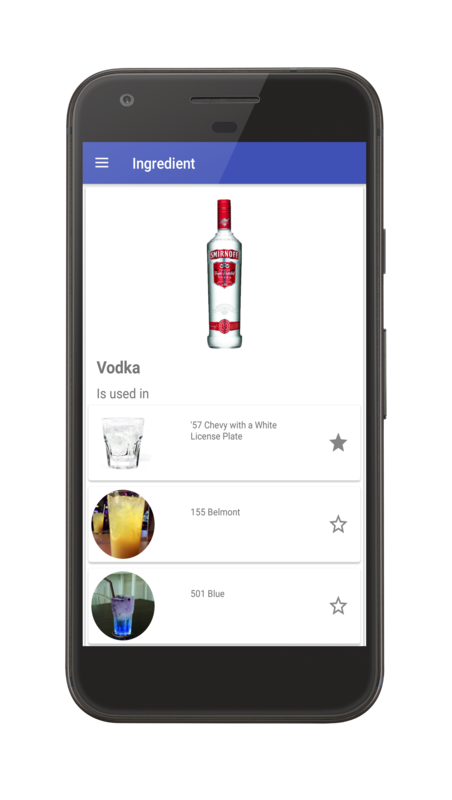 Click the ingredient and a list with cocktails containing vodka is shown! For a microcontrollers assesment Harmen and I interfaced an old Brose flipdot matrix board. We integrated a Wemos D1 Mini into our circuit to host a website that can be used to send text over wifi to the flipdot board. This way we can enter and edit text that has to be shown on the flipdot. When the Wemos receives a request to change the text it sends the text over serial to a BigAVR6 which then processes this and redirects each character over I2C to the flipdot board. After that process is finished the text will begin to scroll from right to left. I do different projects with the ESP microcontrollers. I make my dumb bedroom lightning smart using MQTT with a ESP8266-12f and I am making my garage door open with a MQTT command. 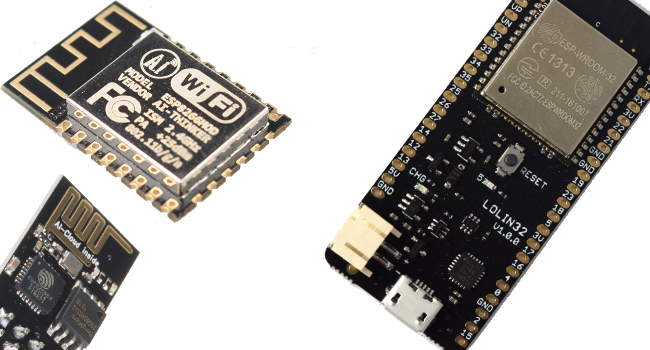 Recently I also started using the ESP32. 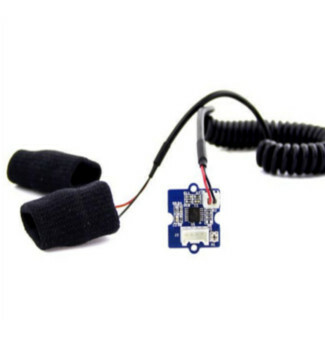 A microcontroller that has bluetooth capabilities. Lastly I am integration a lot of sensors and lightning into Home Assistant to automate my home! 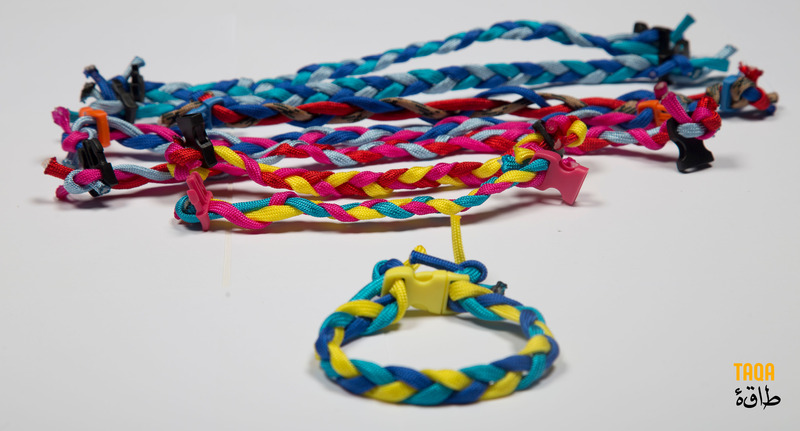 For a graduation project, Tim Dekker researched convenient and child-friendly ways of measuring stress levels for kids, especially those of refugees. 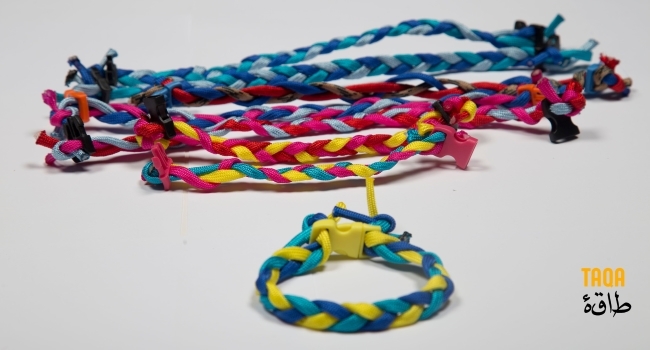 When he wanted to make a prototype with Arduino, he reached out to me. I helped Tim design an Arduino program that uses a galactic skin response sensor together with an old iphone vibration motor and lastly, an old fashioned led. The purpose of this program was to measure stress levels and reduce them using a method Tim researched. In my last semester of my second year I had a OpenGL assignment to create a 3D scene. I chose to create a 3D game in a world that is genereted with a black/white heightmap image. I used different methods to smoothing the terrain in code, using a 3x3 1/9 boxfilter, and I used a Guassian blur to smooth the image in image editing software. The game features a main menu, where you could read the instructions and press a button to start the game. When you press any button the game would start instantly because when you get into the main menu the game itself was already loaded in the background. 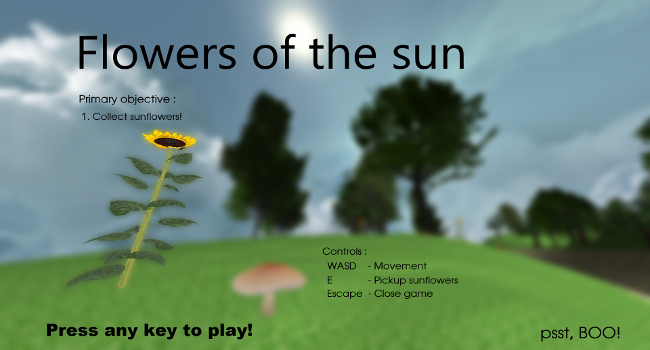 The main feature of the game is the collecting of sunflowers, this is to gather points. However, collecting sunflowers is not as simple as it looks. When the game starts there will spawn 2 'Boo's' (Known from nintendo). 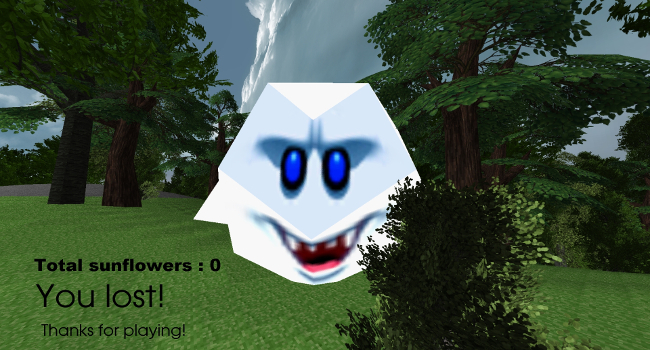 These ghosts will slowly kreep towards you using linear interpolation. When you collide with these ghosts it is game over. The application is developed using the MEAN stack. This is the MongoDB, ExpressJs, Angular5 and NodeJs stack. The deployment of the application is fully automated using Docker. This dashboard provides a clean interface, which is fully responsive, to provide insight into your Dutch smartmeter. 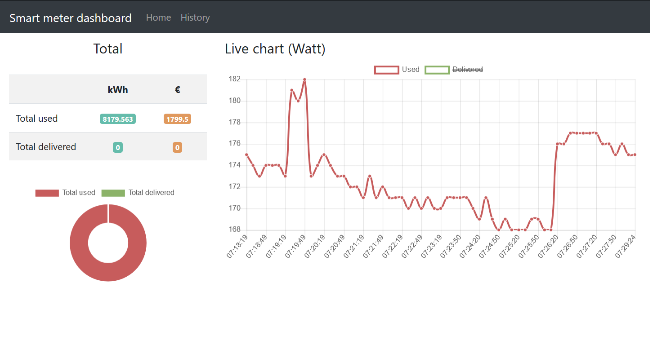 This smartmeter provides energy information every 10 seconds, this data is read by a Single Board Computer using a Python script. This is the main page of the dashboard. The information that can be seen here is your live (Last 10 minutes) energy usage (red) / solar panal production (green). The data on the left side is your total usage since the installment of your smart meter with a corresponding pie chart. On the right side is your usage of the current day, this also updates live as does the main chart. The charts are made using ChartJs. This is the history component, on this page all the data that has been gathered can be seen using the date picker on the left. Initially all the data from one day will be shown, if a more precise graph is desired the two time pickers can be used to narrow down the data. The 2 pie charts on the right show you the total usage since the data you are currently shown and the total usage of the time shown period (one day maximum).